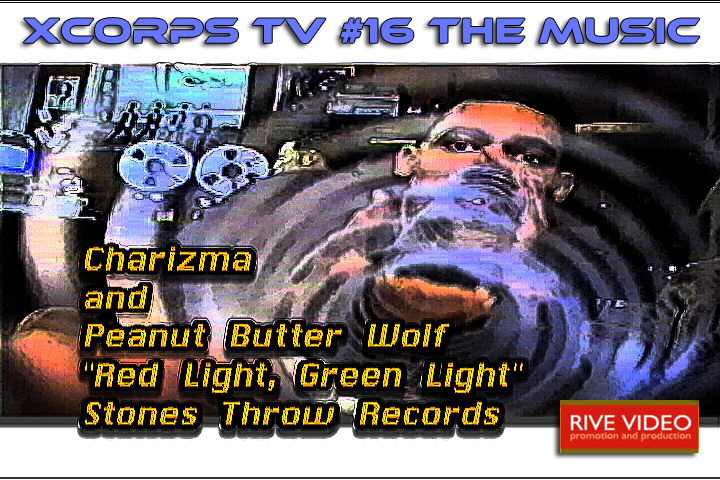 Action Sports Music TV 16. 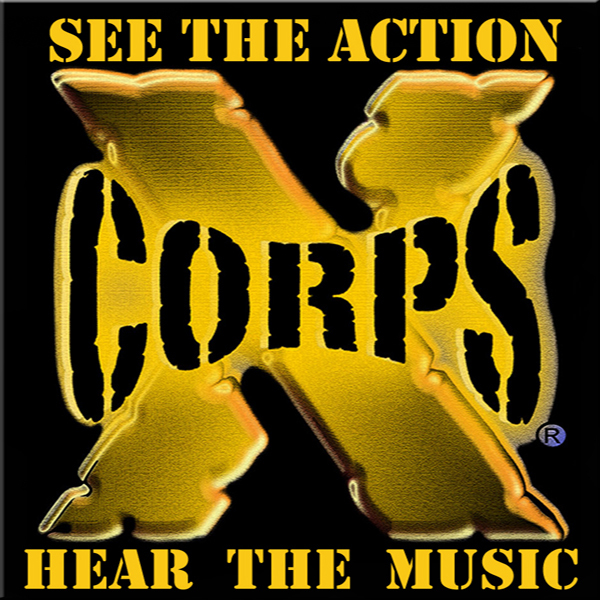 The MUSIC – Full Show Free – The core of Xcorps IS Action Sports and MUSIC so go ahead and crank up the volume on this special XC episode featuring new Music Videos from RIVE and the co-host tag team of Rozlyn Bradle and Jason Lazo spinning vinyl poolside at RoZs new Burbank California crib! The show opens up with solid music from Pillar and some cool shots flying over downtown LA the location for this weeks show. Next Jason is on the ground ringing Roslyn’s bell at her new LA Burbank pad complete with pool and resident lover D.J.Dan who hooks the show up with a sweet miX of music and videos from RIVE video promotions. Spinning vinyl has it’s own kind of style! 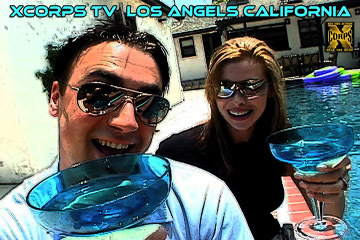 From poolside and with Blue Agave Margaritas in hand Roz and J throw to the mix in this Xcorps show! 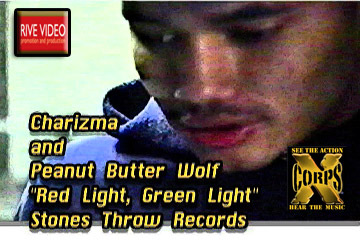 First song to roll is a Retro Hop piece and a look back to Rap Roots with a video by the band CHARIZMA and PEANUT BUTTER WOLF circa San Jose, Ca – 1992. Early Rap Hip Hop Break moves rolling here folks! Don’t miss the roots Super-8 film footage with a band that is part of the west coast history of Hip Hop. Next on the show Roz and J twist things up a whole lot with a visit to the abstract reggae world of Jamaican native EEK A MOUSE and his insanity collage of a video ‘Schizophrenic’…Are you talking to me? Cool and super funny video effects here as well as EEK’s massive wardrobe creativity to back the insanity! 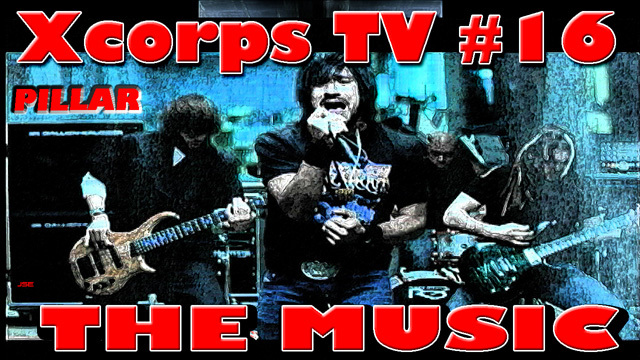 After Eeks trippy music video watch an eXclusive Xcorps interview between Jason Lazo and Eek backstage at the Doheny Days Music Festival in Dana Point California. 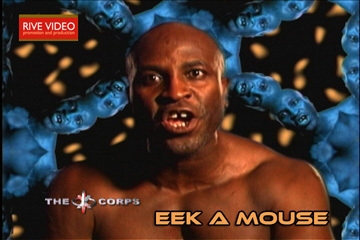 Xcorps viewers might recognize Eek A Mouse from his long music career and his underworld role as a drug dealing Rastafarian named Fat Smitty in the 1991 film New Jack City. Check out the Mouse history lesson including details on his Boxing when her was called Ripton Joseph Hylton and hear how he now stays in his onstage fighting shape! 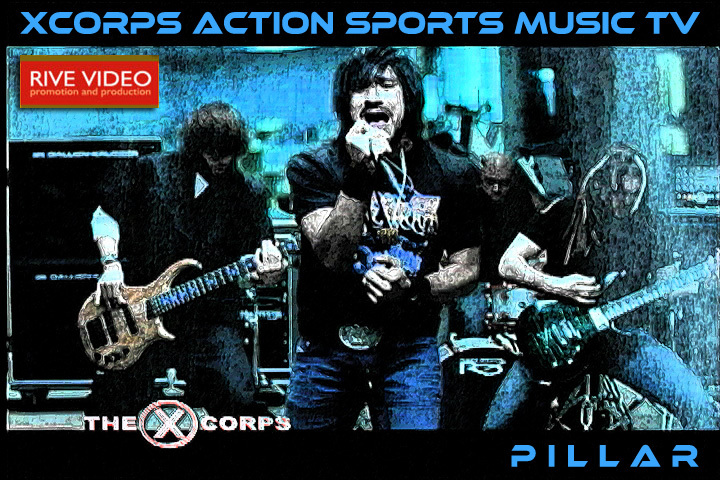 Next on this mad musical Xcorps show is some solid rock and a solid video from the RIVE promoted band PILLAR performing their song ‘Bring Me Down’. Roman White directs this pricey looking hard hitting music film shot at the Tennessee State prison where the Tom Hanks movie ‘The Green Mile’ was shot. Following the Pillar video are some words from the Flicker Records band and some behind the scenes shots where the crew throws rocks at the band and the ceiling caves in...Rock on! 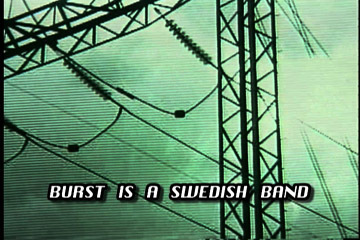 In the next XCORPS music segment Roslyn turns viewers on to something new from Sweden – a Relapse Records band called BURST a progressive metal band from Kristinehamn, Sweden and their music video ‘Save the Lives’. Trying to figure this one out is a psycho challenge and please don’t watch this video if you dislike insects and high voltage power lines…and more insects and power lines! Stay Tuned! 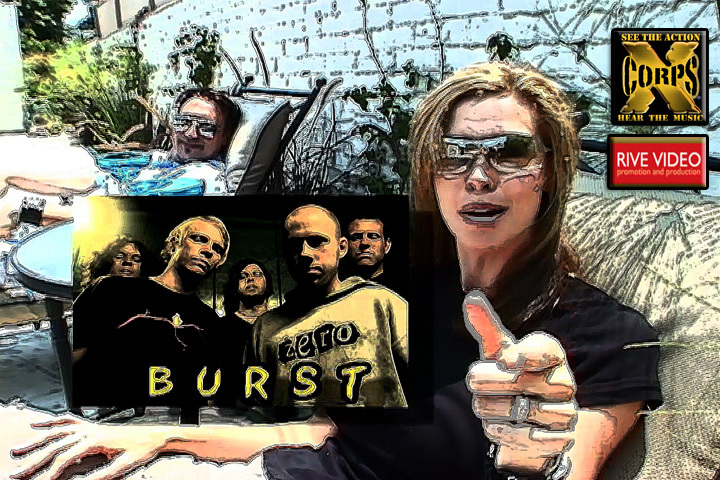 This Xcorps music special wraps poolside in LA with show hosts RoZ and J closing it up with another Retro Hop look at retro rooted Charizma and the PP Wolf. As Eek A Mouse would say – Badda Bing Bing Bing! 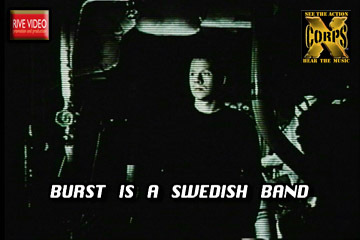 A J.S.Edmondson Film – TRT-22:00 7/2004 first AIR release. 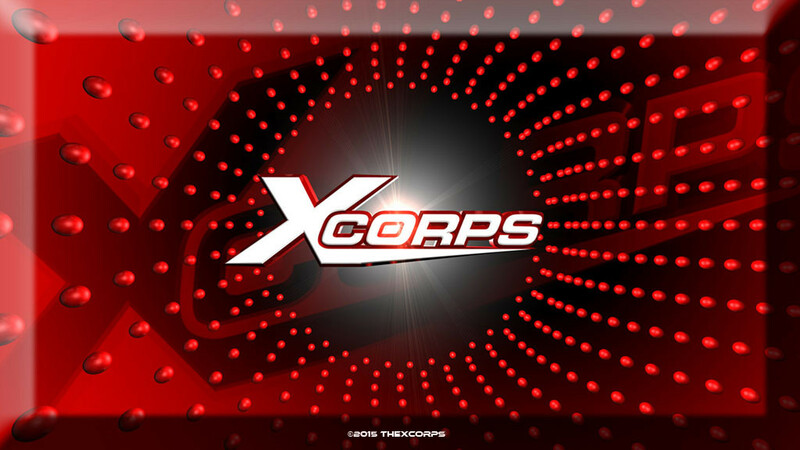 *Watch the FULL XCORPS TV show episode here for FREE! *Xcorps TV Production Tip #16. – Please DO IT!